TrackTrade allows you to see your running trades as they progress on the chart. It does not open, modify, or close trades. 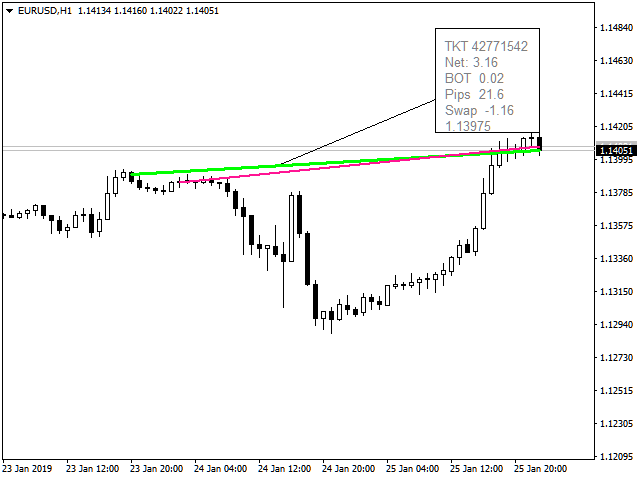 It displays a trade line which starts at the time-price when opened and extends to current time-price. The continuously redrawn line is one color/width if the if your trade is currently negative and another color/width if not negative. 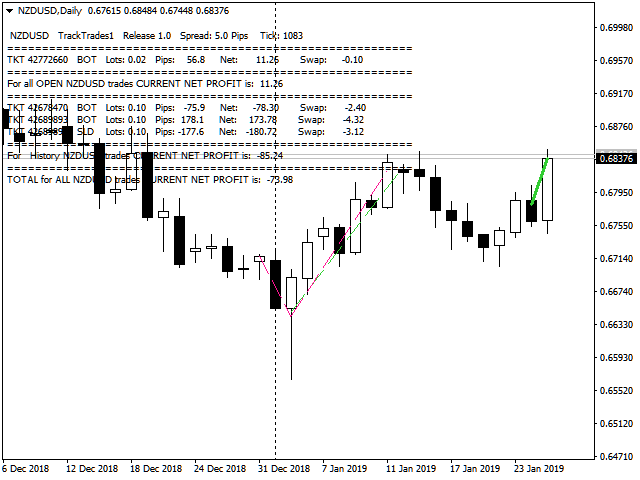 If you hover your pointer over the open trade line, a label pops up and vertically displays the following: Ticket Number, Current NET Profit, BOT or SLD with Lots traded, Points or Pips Moved, Swap if present, and Chart Price at your pointer. If you select Show Details, you will see current chart pair trades listed by ticket and summarized. 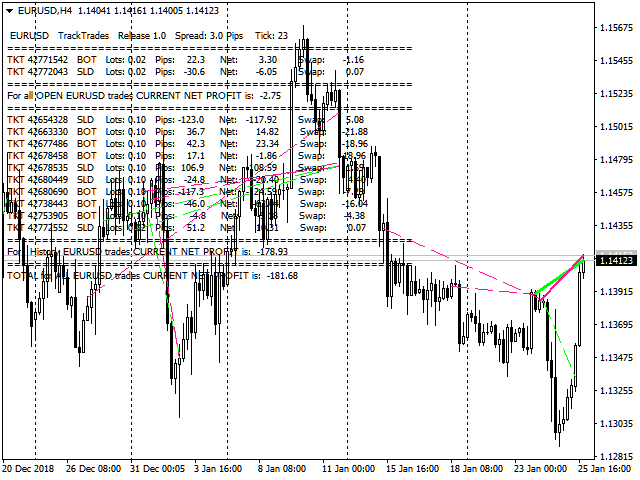 The calculated spread, net profit per trade, and total net profit for this pair's open trades are calculated each Tick. If you select TrackHistory, closed history trades will be calculated in the Detail screen display and also displayed as chart broken lines. You see a full accounting of this pairs trades. 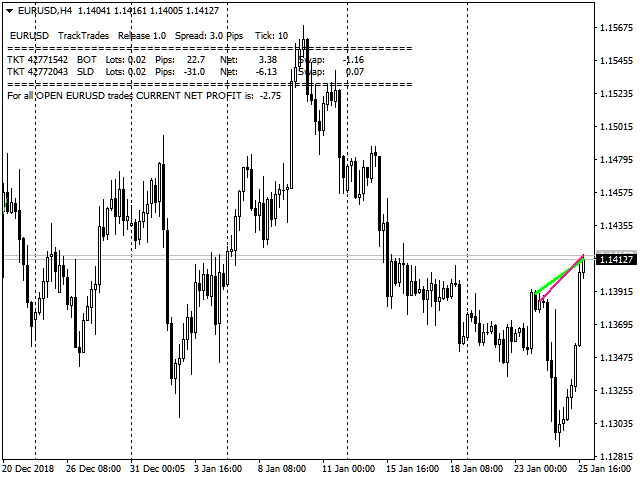 So just attach TrackTrade to each chart and watch your trades run! The positive Trade Line Color. The negative Trade Line Color. The positive Trade Line Width. 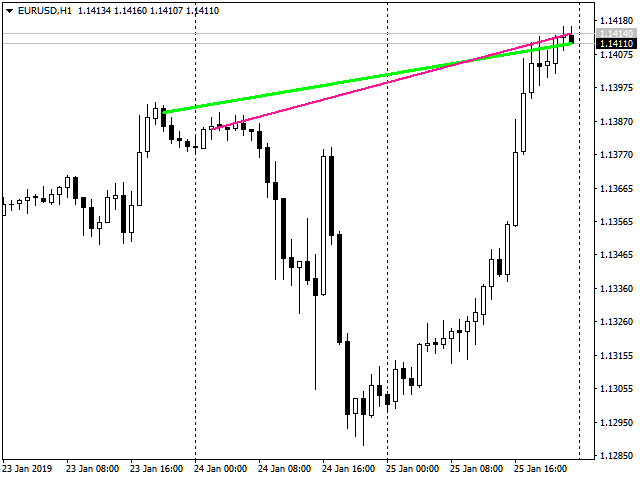 The negative Trade Line Width. 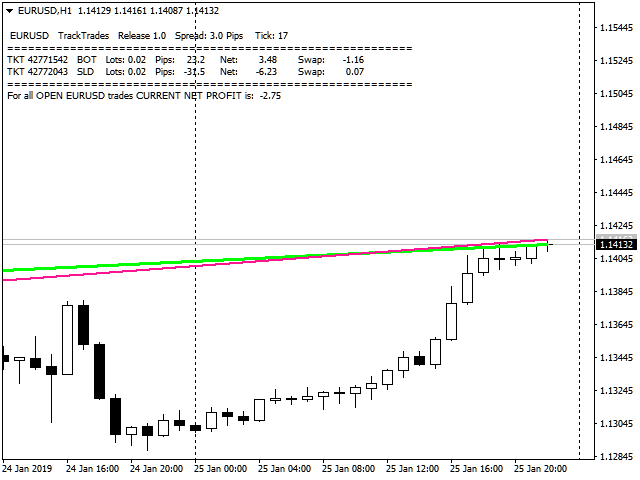 Show in Pips (4 Digits) or Points (5 Digits).